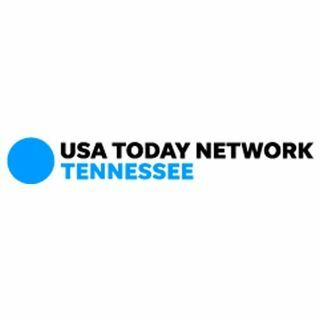 USA TODAY NETWORK - Tennessee includes the Memphis Commercial Appeal, the Knoxville News Sentinel and the Nashville Tennessean. Covering sports, news and music across the state. 125 North Main is a podcast covering the happenings at Memphis City Hall, hosted by The Commercial Appeal's city government reporter Ryan Poe. Nashville Predators beat reporter Paul Skrbina, columnist Joe Rexrode and digital producer Jon Garcia discuss the latest happenings with the local professional hockey franchise. The intersection of music, movies and pop culture. Hosted by The Commercial Appeal's Chris Herrington with Bob Mehr and John Beifuss. August 16, 1977 was just like most other August days in Memphis, but it would end tragically for the King of Rock 'n' Roll. It was the day Elvis died. Follow along this special three-part series looking back at Elvis' death, stories, memories and where the Elvis phenomenon is, forty years later. You know the photograph – the picture capturing Dr. Martin Luther King Jr.’s assassination in Memphis. As the fallen civil rights leader lies on the balcony of the Lorraine Motel, shot by a sniper, his aides point desperately toward the direction of the shot. But have you ever looked closely at it? There, on the second floor, above the ... See More motel’s offices is a man. He peers from behind a curtain – just a shadowy figure whose image seems impossible to bring into focus. Who is he? Why is he here? Nashville’s selection as the home of the 2019 NFL Draft places the city in the company of some of the most storied football cities in the country. In many hours of interviews with current and former Titans players, executives, players and city leaders, The Tennessean's journalists set out to chronicle the history of pro football in ... See More Nashville. An underdog quest for a team. A meteoric rise to Superbowl contention. A fall into mediocrity punctuated by the murder of its one-time star quarterback. And a resurgence that has brought renewed excitement to Nashville. Through tragedy and triumph, this is the unlikely story of how the Music City scored an NFL team, performed a football miracle and fought its way back to the national spotlight. Raynella Dossett Leath is 70-year-old grandmother living quietly on a 15-acre farm in the Karns community of Knox County, Tennessee. Her life has been far from quiet. She has survived death – two husbands and a son – and prison. She might be a two-time "black widow" who had a third ... See More victim in her crosshairs. Despite being convicted once, she is a free woman. In "Suspicion," we will take you through the deaths of Leath's two husbands, her trials and how she managed to escape a life sentence. The only podcast by Memphis, for Memphis, about Memphis. Interesting people talking about Memphis, Memphians talking about interesting things. Hosted by Commercial Appeal columnist David Waters. In this four-part podcast series, “The Mountaintop,’’ named after King’s last speech given the night before he was shot in Memphis, we’ll take you back to 1968, into the thick of the Memphis sanitation workers’ strike, through the movement’s struggles of today. The fourth episode will be released April 5th following the MLK50 events ... See More in Memphis, Tenn. on April 4th, the 50th anniversary of Dr. King's assassination. From the backyard to competition cooking, The Rub is a show about barbecue - grilling, recipes and more. Hosted by Jimmy Shotwell and Forrest Goodman. Memphis Tigers basketball podcasts from The Commercial Appeal, hosted by Tiger basketball beat reporter Drew Hill and sports columnist Mark Giannotto. Voices of The SEC is your weekly look at SEC football across the South. Hosted by columnist Joe Rexrode with special guests from across the USA TODAY NETWORK. The rate at which Memphians are shooting - and shooting at - each other exploded during the last decade. Younger shooters and increasingly lethal weapons leave Memphis with more murder mysteries than ever. This is Wounded City, a special podcast series from The Commercial Appeal exploring the gun violence problem in Memphis.